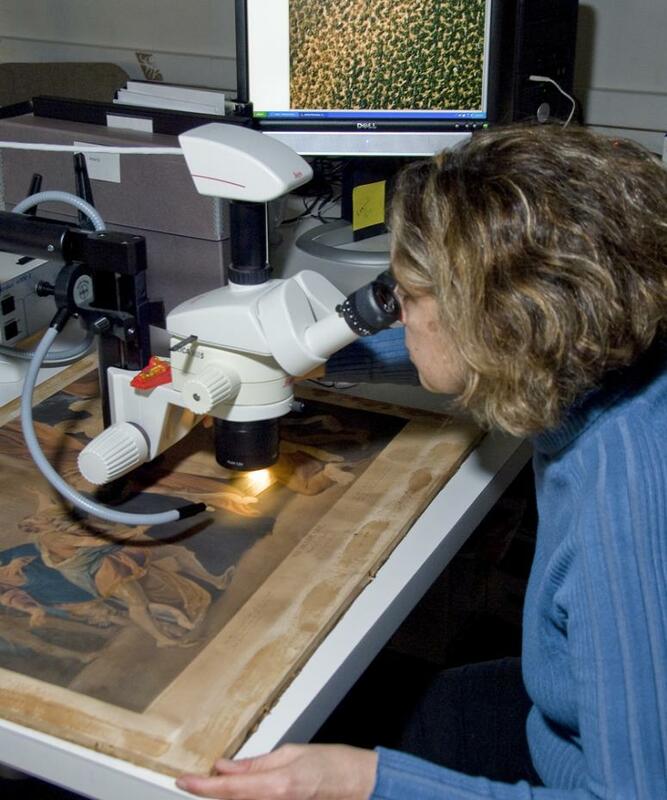 Paper conservation cares for almost 5,000 prints and drawings including some of the most important prints of the early national era by artists such as Peter Pelham and Paul Revere. In addition, the collection includes pastel paintings on paper and early German-American fraktur as well as paper-based materials such as hat boxes and several rooms of historic wallpaper. Winterthur's prints and drawings are found on display in period rooms and on reserve in a large study collection that provides a rich resource for scholars in many disciplines. Paper is vulnerable to many kinds of damage - tears, creases, soiling, overall discoloration, and stains. Exposure to excessive light , heat, and high humidity accelerate its deterioration. These conditions also threaten the images on paper and may cause flaking media, color shifts, or fading of inks and other design materials. 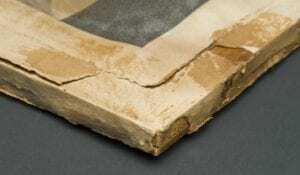 Paper objects suffer additional damage in storage or on exhibit when in contact with acidic mats, folders, and boxes. Frames that are too small or that do not provide adequate space between the glazing and the object can cause additional damage. Paper conservators focus on repairing and supporting the structure of the paper object and reducing discoloration and acidity when appropriate. Repairs with pressure sensitive tapes and poor quality adhesives often must be removed to prevent ongoing damage. Winterthur's paper collections are kept in a controlled environment in the period rooms and a preservation environment of 65F and 45% RH in the Maps and Prints study collection. This environment reduces the rate at which paper deteriorates and prevents the growth of mold. All objects are stored in alkaline mats or folders that help protect them during handling and study. A Preservation Housing Specialist insures that all framing is safe and appropriate for the object. When Winterthur acquired a series of four rare prints (1968.0155–0158) published by the illustrious English print dealers John and Josiah Boydell, they were in completely original but fragile condition. 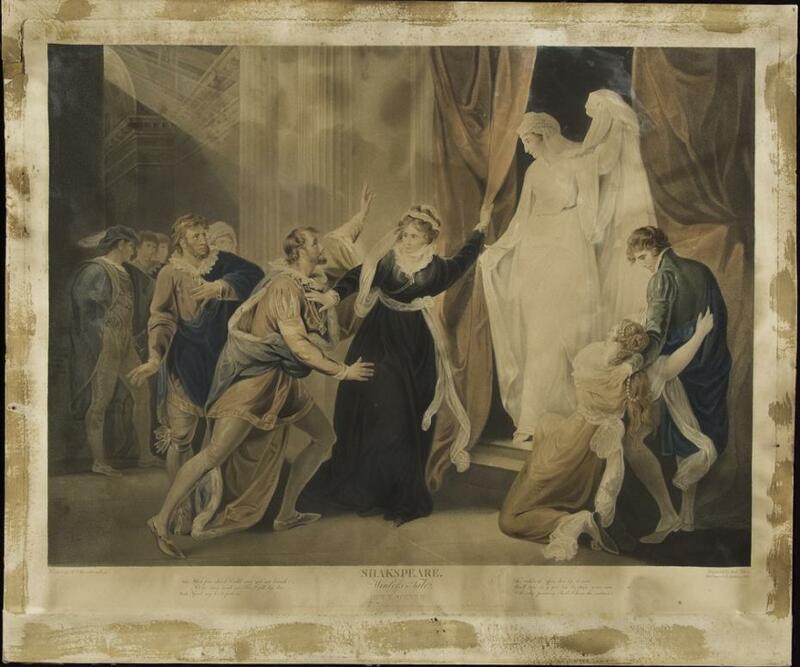 The prints, published from 1790–1805, depict scenes from Shakespeare’s plays. The production and sale of Boydell’s Shakespeare prints tell a story of 18th century entrepreneurship and ingenuity. They were part of a larger scheme that included a gallery of paintings by renowned English painters such as George Romney and Benjamin West and an illustrated edition of Shakespeare’s plays. The prints had suffered severe staining in the margins from their original wooden strainers and the papers were very fragile and brittle. Treating the prints, a technical challenge in itself, was complicated because the prints were in period mounts and frames that would be altered if full treatment was to proceed. 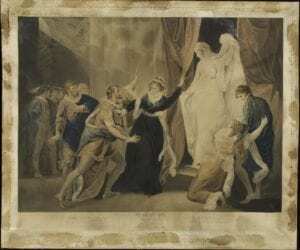 It was determined that one print, Winter’s Tale and its frame, would not be treated but would be carefully stored as a historic record of exhibition techniques and materials of the period. King Richard the 3rd was examined and treated first, to learn how the print and its frame responded to conservation procedures. The print was gently surface cleaned and mechanically removed from the wooden strainer. After testing, the print was bathed on the surface of wet blotters (note the illustration of the transfer of discoloration to the blotter) to reduce acidity and discoloration to the extent possible. By removing degradation products and re-establishing bonds between paper fibers, washing strengthens the paper and improves its flexibility. Areas of persistent staining were locally bleached. Tears were mended and the verso lined using Japanese tissue and wheat starch paste, materials favored by paper conservators for their long-term stability and reversibility. The thin lining provides support to the damaged print without changing its texture and flexibility or flattening the image or plate mark. The frames also required examination and repair which was undertaken in the Preservation Housing Lab. The painted and gilded glass for each frame had suffered flaking and loss. Missing areas of the reverse-painted black glazing were consolidated with a brush application of Aquazol. Areas of lifting gilding were in-gilded with 23K gold leaf and a gelatin solution. Minor losses in the frame surface were filled and inpainted. Although the prints had originally been adhered to wooden strainers, this format is inherently damaging since it exposes the paper to the acidic wood strainer and restrains the paper, preventing it from moving and responding to changes in relative humidity. Therefore, the treated prints were adhered to new acid-free ragboard supports and re-fitted in the frames for display. Bottom Image: (Left) Removing discoloration from a print by drawing stains into a wet blotter; (right) King Richard the Third after treatment.